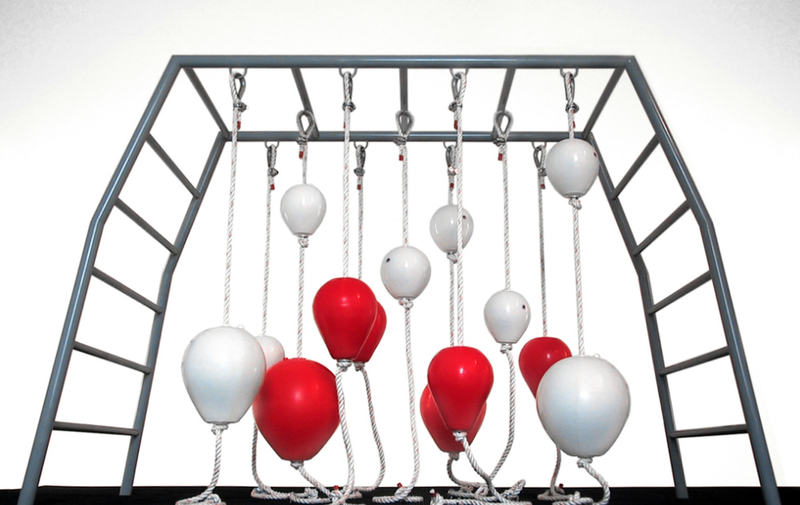 Fourteen hanging balls provide an excellent landscape for climbing and swinging. A bent steel frame acts as a ladder as well as the support for suspending the soft, colorful buoys. 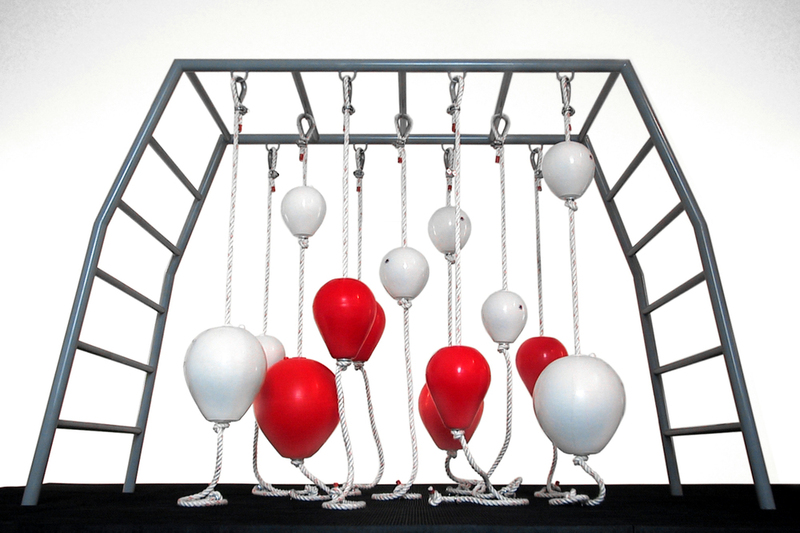 Swing Ball is great for children but designed for any age group to enjoy. One can climb to the top, swing in either a circular or straight path, or pass from one rope to the next.